Give credit where credit is due – a client who allowed “4-letter words” to appear in an ad headline? Good for them. 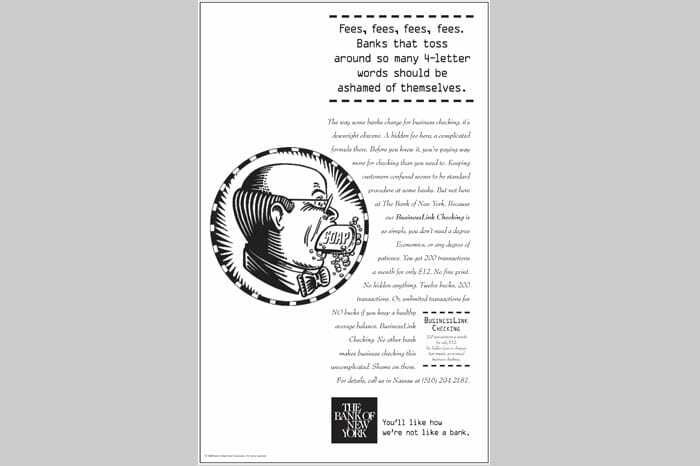 And good for all the new customers who found it refreshing that a bank with the stature of Bank of New York didn’t appear as stodgy as so many other institutions.